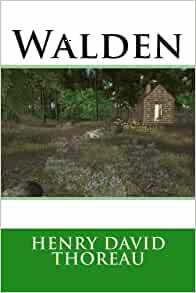 Walden by noted transcendentalist Henry David Thoreau, is a reflection upon simple living in natural surroundings. The work is part personal declaration of independence, social experiment, voyage of spiritual discovery, satire, and manual for self-reliance. First published in 1854, it details Thoreau's experiences over the course of two years, two months, and two days in a cabin he built near Walden Pond, amidst woodland owned by his friend and mentor Ralph Waldo Emerson, near Concord, Massachusetts. The book compresses the time into a single calendar year and uses passages of four seasons to symbolize human development.By immersing himself in nature, Thoreau hoped to gain a more objective understanding of society through personal introspection. Simple living and self-sufficiency were Thoreau's other goals, and the whole project was inspired by transcendentalist philosophy, a central theme of the American Romantic Period. As Thoreau made clear in his book, his cabin was not in wilderness but at the edge of town, about two miles (3 km) from his family home. Henry David Thoreau was an American author, poet, and philosopher, who is best known for his works Waldena treatise about living in concert with the natural worldand Civil Disobedience, in which he espoused the need to morally resist the actions of an unjust state. Thoreau s work heavily reflects the ideologies of the American transcendentalists, and he has long been considered a leading figure in the movement along with Ralph Waldo Emerson, Bronson Alcott, and, at first, Nathaniel Hawthorne (who changed his views later in life). In addition to his writing, which totaled more than twenty volumes, Thoreau was an active abolitionist, and lectured regularly against the Fugitive Slave Law. Thoreau died in 1862, and is buried along with Louisa May Alcott, Ellery Channing, and other notable Americans in Sleepy Hollow Cemetery in Concord, Massachusetts. 5.0 out of 5 starsWalden, the Kindle version. I first read "Walden" in a freshmen seminar course in American Lit, and it was quite daunting reading at the time. Thoreau seemed an over-rated author: he darts from topic to topic with little to no transition, he quotes obscure passages, he sermonizes. And perhaps most frustrating of all, he wants his writing to be ambiguous (see for instance, Chapter 18), and for an assiduous college student eager to absorb and analyze, this can be quite an overwhelming experience. So, I got very little of Thoreau at the time. Ten year's later, I decide that I would pick "Walden" up again. I told myself that I would stop whenever the reading became too discursive or abstract... And I did not stop until I reached the end! As any student of early American lit. 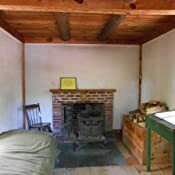 knows, Thoreau built a small house for himself in the woods of Walden Pond in Concord, MA, where he lived for two years (1845-1847), documenting his experiences living there in "Walden." He hoed beans for a living, lived a mile from his nearest neighbor and survived on the absolute minimum that he could. In his downtime, he would swim, fish, read and take in his surroundings, describing every sight and sound with the utmost care. Thoreau creates for his reader an unforgettable Nature-observing experience with such richness of detail that we feel we are right there with him. 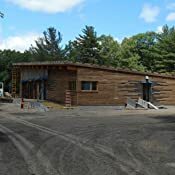 We hear the owl's cry, we witness the loon diving into the pond and the two ants going head-to-head in battle, we see the blue of Walden Pond. He is a student of Nature of the highest order and extracts from each of these experiences a parable about humanity: what we lack and how we can be free. 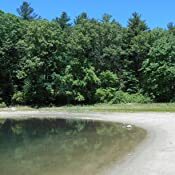 For Thoreau, Walden Pond is a place of purity, an oasis, an Eastern paradise on earth, a Ganges. Thoreau's prose is also rather unique. What one must remember is that he is faithful student of Emerson and like Emerson, his paragraphs often contain non sequiturs, digressions and sometimes outright contradictions. It was perhaps this lack of logical linearity that initially kept from enjoying his work as a college student. We must be indulgent with Thoreau: his wit, his aphorisms, his acumen are well worth the sometimes uncomfortable task of deciphering his prose. 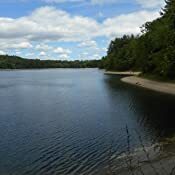 I am very glad that at nearly the same age as Thoreau, I took a journey to Walden Pond with him. 5.0 out of 5 starsA beautiful and inspiring book. It was a wonderful experience to actually feel like I was there with Thoreau at Walden Pond. The way he studied and described simply living and the appreciation of nature fits right into my values. I loved having insight to a life that took place so many years ago through his eyes, and with his mind and heart. He expresses his beliefs about life and society so eloquently. At times he goes into great detail in his observations, but then masterfully makes a valid point that is truly inspiring. This is a book that really makes you think about the purpose of our existence in this world, our values, and how we should live. Review of ANNOTATED EDITION, not of Thoreau's work. Potentially great idea. Many of the annotations were superficial or unnecessary, although others helpful. Biggest problem with this is the printer's layout, which has two careless oversights: size and position on page. Two pages of text have been squeezed onto a single page (to allow the side-by-side commentary), resulting in tiny print. Tough on anyone over 40. Then, the printer left wide margins on the *outside* of the page, and squeezed Thoreau's text into the binding. Really foolish use of the available space. The result is something that could have been fascinating being just plain awkward and unsatisfying to handle and read. 5.0 out of 5 starsA brilliant classic by a brilliant man. One of my favorite books by Henry David Thoreau. The illustrations add to it nicely and the cover and binding seem well made. This book is excellent for anyone who loves the idea of escaping from society and finding yourself. It serves as a reminder that as modern society advances, we become almost less human, going about the motions rather than living and experiencing all that life and nature has to offer. Great book for any avid nature lover.